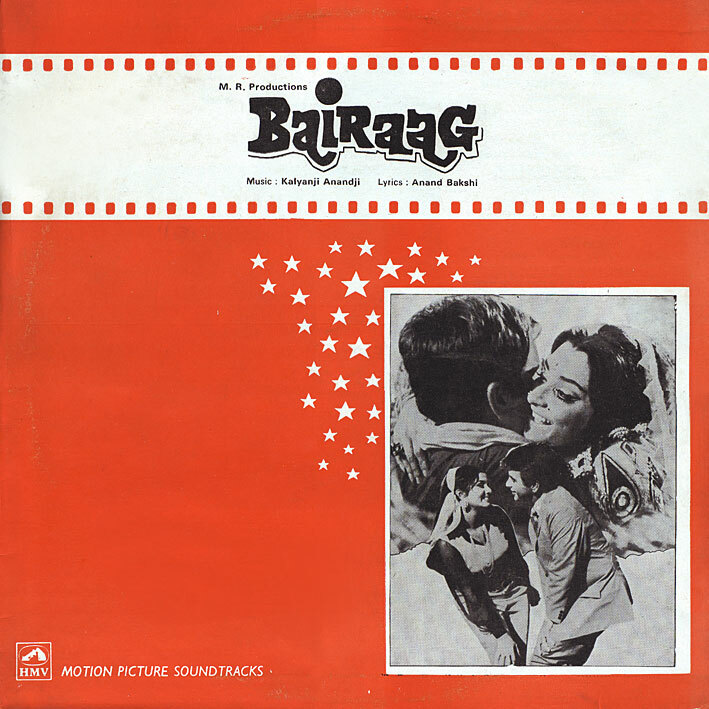 'Bairaag'; a mid-seventies effort from Kalyanji Anandji... half of which won't be of much interest to non-Hindi speakers as it's all dialogue. The other half though, should be; it's all very good music. Three highlights on it for me: 'O Shankar Mere Kab Honge Darshan Tere (Part II)', traditional but with a kind of manic urgency that I love; 'Peete Peete Kabhi Kabhi Yun Jaam' which is nice and bouncy and has a cool accordian intro; and finally the absolutely killer 'Dance Music', prime cut Bolly-funk as we know and love it. 5. Dialogues featuring Dilip Kumar as Bhola and Saira Banu as Chhoti Malkin "Tara"
I had always liked the song 'Choti Si Umar Men ...' but I never really paid much attention to this soundtrack. I remember seeing the movie (I think my Dad has it on VHS) but the other songs I don't remember at all! Anyway - going to give this a few listens to see if my memory is jogged at all. Thanks for this (again and again and again)!!! I use to like the song Choti si umar main.Its still great and fresh to hear Lata.I can remember the video too Saira Banu seducing her real life husband Dilip kumar and you can see the age difference too. If you don't mind, can you please re-upload BAIRAAG along with UPAASNA ?. Thank you very much for all the albums, greatly appreciated !!! Thank you very much for re-uploading 'Bairaag' and 'Upaasna' !!! Links have expired...kindly reupload please. Not all, there's at least one that's still active.